Enter Xceligent Spaceful. The new product launched this October with the aim to speed up the space-tour creation process for CRE firms. The digital application improves a firm’s ability to showcase properties with potential tenants using mobile capabilities. “The space tour is a critical step on a broker’s path to closing a deal,” said Doug Curry, Xceligent CEO. “So, we created a tool that makes that process fast and hassle-free. Brokers can now assemble digital tour books in minutes – not hours – and edit or update them in real time based on feedback from colleagues and clients,” Curry said. Inspiration from Spaceful’s creation came from a incubator session where participants zeroed in on inefficient processes impacting commercial real estate professionals. 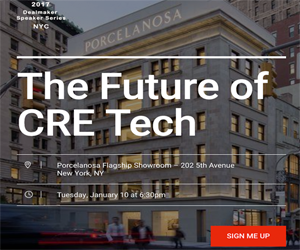 From that session, Xceligent created Spaceful to leverage its open platform tools to help CRE. Spaceful uses the best practices of today’s user interface options. Brokers assemble the space-tour experiences using pre-populated building information, a drag-and-drop interface, and imported third-party data. Books can include area information, notable local companies, and transportation information. Collaborators can easily add information and revise work in progress. The finished product is shared with clients through a browser link accessible on any device, skipping the hassle of printing and reprinting expensive copies. Brokers and tenants viewing the finished digital space-tour product can share notes and upload real time photos on the platform. Spaceful’s ability to sync information, create attractive layouts, and share virtually makes building a space-tour an enjoyable, hassle-free process that doesn’t sap precious working hours. “Spaceful has made the process of creating tour books speedy and efficient, and the results are elegant and professional,” said Jerre S. Riggs, JD, co-founder and COO of First Base LLC. “It's all digital, so we can easily edit and expand the content, and our clients can add their own comments, photos and video. In short, what was once a time-consuming and often painful process has now become seamless." Users can create their first Xceligent Spaceful tour book for free by visiting here. Xceligent’s suite of data and market analytics products for CRE include Commercial Search, a national property-listing marketplace for CRE, Xceligent Direct which automates and improves the marketing capacities of corporate websites, and Xceligent Market Direct that verifies listing data for local economic development and municipal group to share. Xceligent is embarking on a nationwide expansion of services.